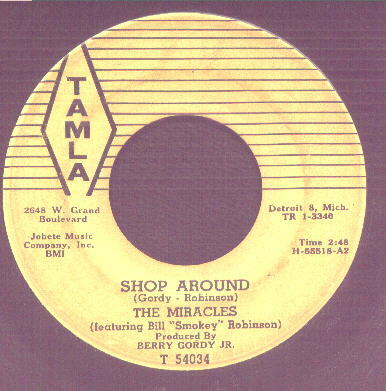 Barry Gordy borrowed $800 from his family to launch the Tamla label. The first group Gordy signed to Tamla was The Matadors, who changed their name to The Miracles. It’s impossible to underestimate how important main Miracle Smokey Robinson was to Barry Gordy’s success. He not only brought dozens of hit records to the charts with The Miracles, but wrote most of Mary Well’s early hits and “My Girl” for the Temptations. It is impossible to get to Hitsville U.S.A. without going through Robinson.